One of the best annual traditions in all of Austin – KGSR’s Blues On The Green – wrapped up another impressive season – 22nd season, to be exact – of free, live music this past Wednesday night with a stellar lineup and preview of 2012 ACL Music Festival artists – Wild Child, The Eastern Sea and Quiet Company. 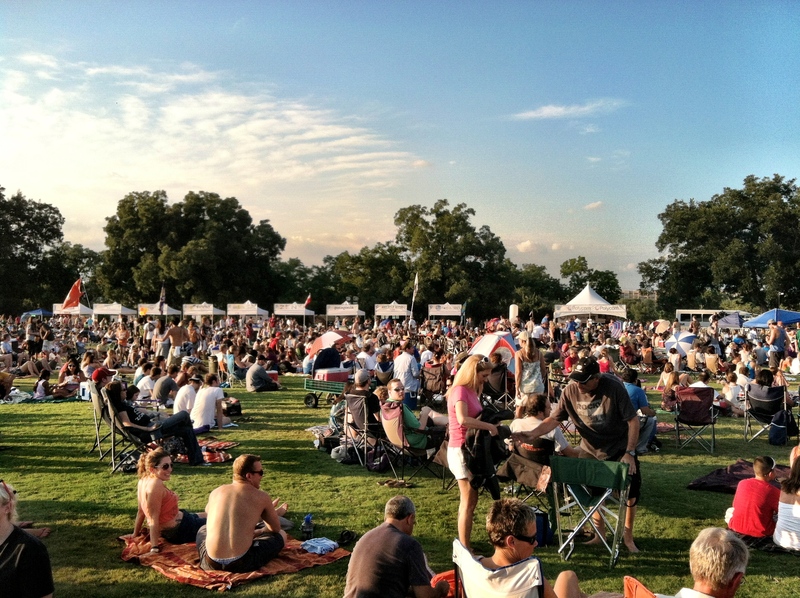 Running every other Wednesday from late May into early August, the 22nd season of “Blues” was packed, once again, with excellent talent, both local and national, while maintaining a fun, laid back and spirited environment on the expanse of Zilker Park’s great lawn. The live music included impressive performances from Charlie Mars, Rhett Miller of the Old 97’s, the Wheeler Brothers, Ben Kweller, Marcia Ball, Amy Cook, the Bodeans, Sahara Smith and more. Aside from the fantastic sounds emanating from the stage, with the backdrop of downtown Austin, the setting at Blues is simply outstanding. Better yet, free. All ages, all types, young and old, some with dogs, many with children and most with ice chests, lawn chairs, picnic blankets and food. 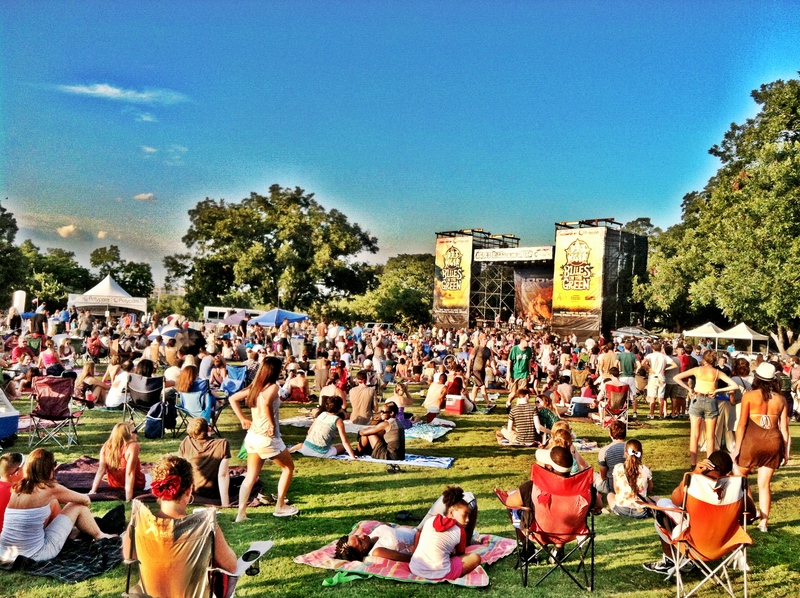 An Austinite’s playground on Wednesdays in the Summer. Brilliant, if you ask me. 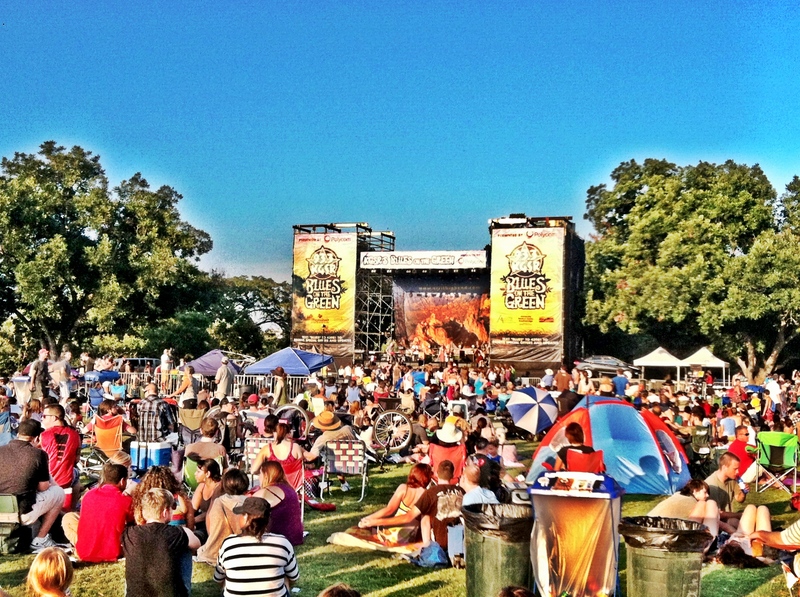 The uber-talented marketing and promotions staff at KGSR take on the herculean task, year after year, of putting on the music series, overcoming the challenges of organizing such a large, free event, open to the public, every other week. 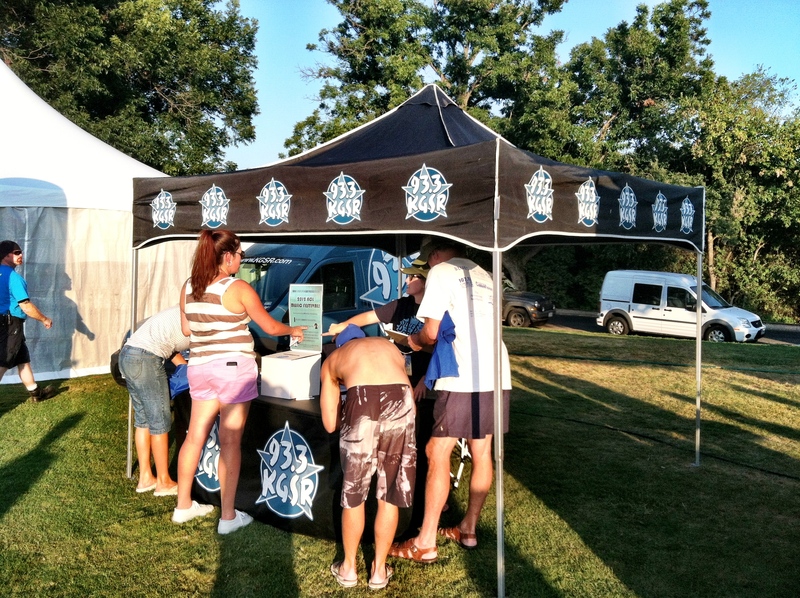 The logistics, alone, are mind-boggling – security, parking, crowd control, stage assembly and breakdown, sponsors/vendors and much, much more. Phew! Enough to exhaust the weak, but the KGSR staff successfully pulls it off every year. 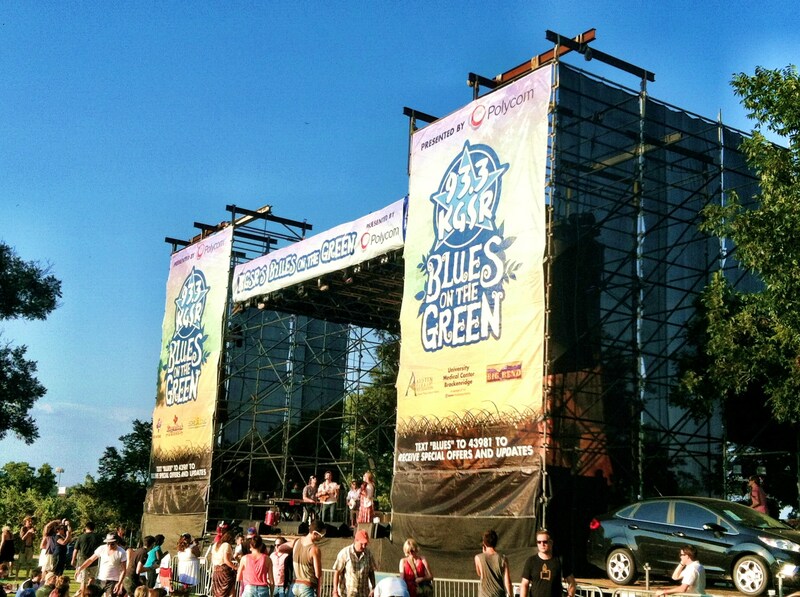 Not only that, Blues On The Green has gotten bigger and better over its 22 years and is now a mainstay during the calendar year when Summer nears.